After the successful concert in August 2014 in the Concertgebouw Amsterdam Gábor Boldoczki is going to perform on 25 September 2014 in the renowned KKL Lucerne. 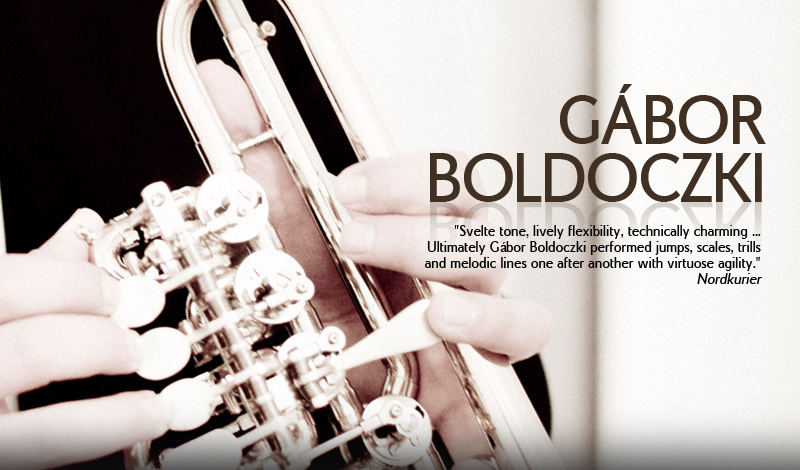 25 November 2013: Gábor Boldoczki presents together with the Franz Liszt Chamber Orchestra his new album „Tromba Veneziana“ at the Musikverein Vienna. Concert debuts at the Guangzhou Opera House and Shenzhen Concert Hall, China. Release of the new album "Tromba Veneziana" together with the Cappella Gabetta on 15 November 2013 by SonyClassical.